On December 31, China made the final orbital launch of 2014, closing a tumultuous year in space. Continuing long tradition, Russia logged most orbital launch attempts among space powers, culminating with the introduction of the Angara family of rockets. In total, Russia conducted 37 orbital launches including two failures, versus 23 launches conducted by the US and 16 by China. The Russian space program was yet to see the full effect of fateful political and economic decisions by the Kremlin, which had thrown the country into recession in 2014. Typically for the past decade, the humanity's space exploration efforts in 2014 were marked by impressive feats of planetary probes backdroped by a near stagnation of the piloted space flight. As in previous years, the so-called "commercial" space program was largely limited to oversized media hype and chasing federal contracts backed by taxpayers. 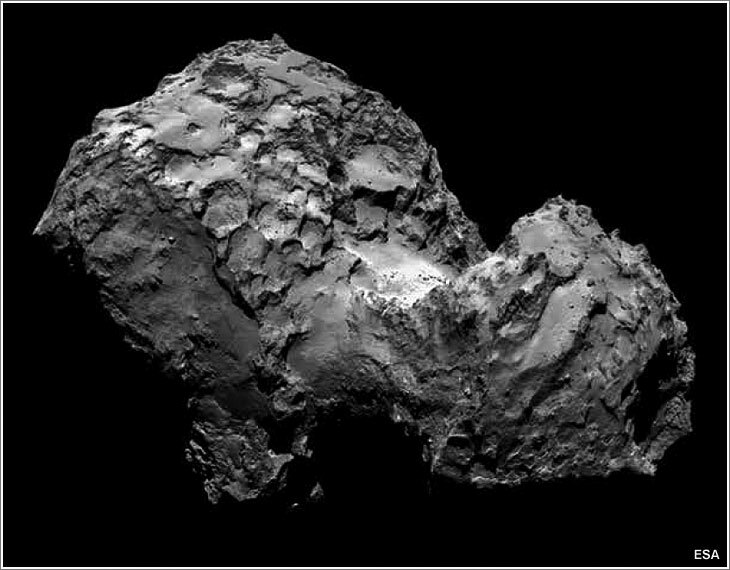 On August 6, Europe's Rosetta spacecraft entered orbit around comet 67P Churyumov-Gerasimenko and captured remarkable images of what turned out to be a really bizarre object. 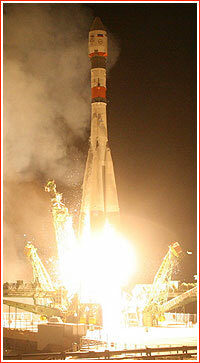 Also in August, a pair of spacecraft launched during the 2013 window to Mars successfully arrived at the Red Planet. 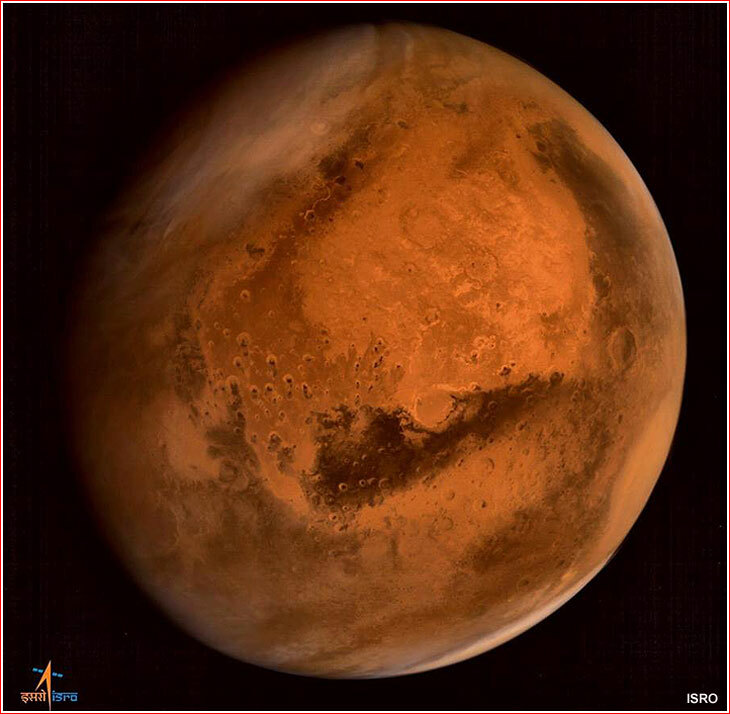 NASA's Maven orbiter was accompanied India's first probe reaching a Martian orbit. On its approach, it captured a global image of the planet. 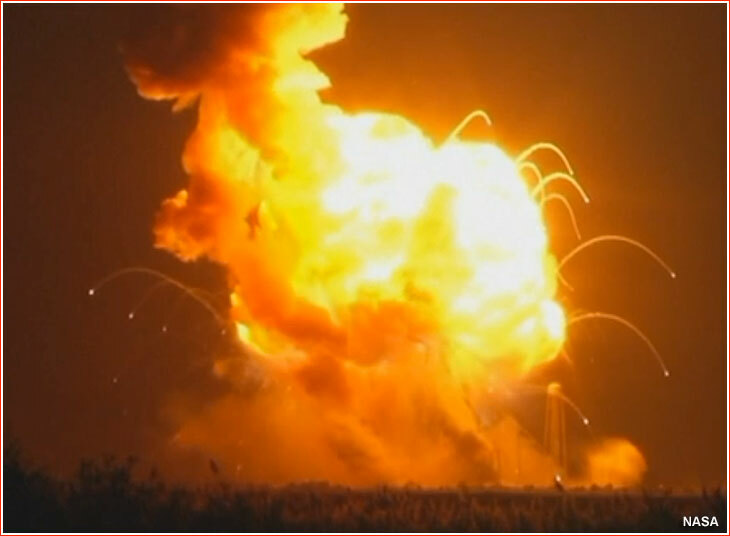 On October 28, an Antares-130 rocket carrying Cygnus Orb-3 cargo ship to the International Space Station, ISS, exploded seconds after liftoff due to a failure of a Russian-built, US-refurbished and certified engine. Ironically, the company had nowhere to go but to another Russian manufacturer, NPO Energomash, for the replacement of discredited Moon Race-era NK-33 engines. On December 3, Japan Aerospace Exploration Agency, JAXA, launched the Hayabusa-2 spacecraft on a mission to rendezvous with a carbon-rich asteroid, to land a small probe and three mini rovers on its surface, and then to return samples of its soil to Earth. The funding for the mission was first proposed in August 2010 and it was formally approved in January 2012. The ambitious but low-cost project provided a stark contrast for the Russia's well-funded but mismanaged planetary exploration program, which faced another round of delays in 2014. On December 5, an unpiloted prototype of the Orion spacecraft blasted off from Cape Canaveral for the inaugural flight test in the Earth orbit. 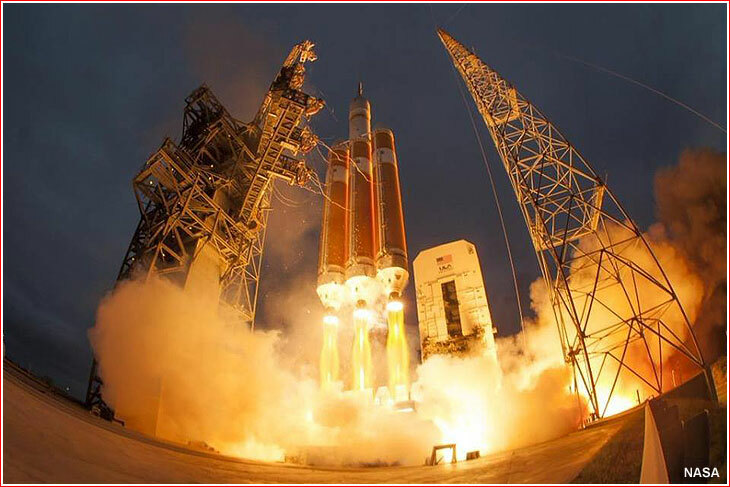 Due to delays with the super-heavy rocket, SLS, for the Orion's deep-space missions, another launch of the spacecraft was not expected until 2018. In the meantime, Russian space agency, had practically nothing to show during 2014 in terms of hardware or testing of the new-generation manned spacecraft, PTK NP, while its first unpiloted test launch was pushed from 2018 to 2021 at the earliest. 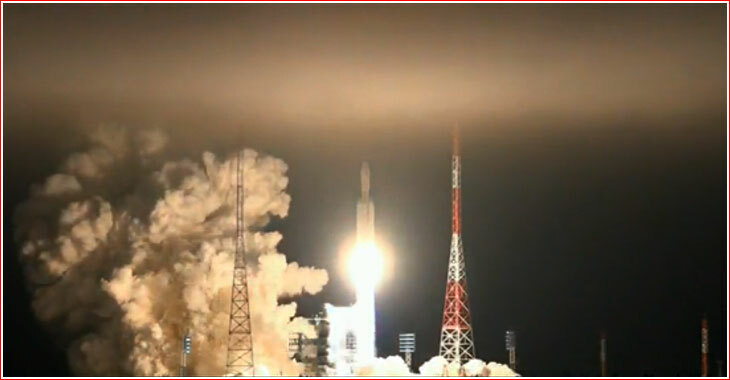 On December 23, after two decades of planning and development, Russia's new-generation launch vehicle, Angara-5, finally took to the sky. 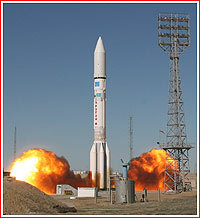 The flawless launch, along with good performance of the veteran Proton rocket in its latest missions were bright spots for the beleaguered manufacturer, GKNPTs Khrunichev, which recently faced a string of spectacular failures and costly mismanagement and quality control disasters, pushing the company to the brink of financial collapse. A circa 2009 proposal aimed to launch the Joint Dark Energy Mission, JDEM, in cooperation between NASA and the US Department of Energy at the beginning of 2014. According to plans made around 2011, the US-based ATK company and the European consortium Astrium (now Airbus) hoped to conduct a test launch of the Liberty launch vehicle for NASA's Commercial Crew Development program early in 2014. The project apparently never got funding. According to original plans, on August 20, NASA's Dawn spacecraft was to enter orbit around Ceres. The mission was first delayed to 2015, then postponed indefinitely due to cost overruns in the fall of 2005. Still, it was later revived and launched, while the encounter with Ceres was rescheduled for March 2015. On December 31, there was a last chance for a private company to claim the $15-million prize of the X-Prize Foundation for soft-landing a rover on the Moon, capable of moving and sending images back to Earth. The overhyped but unrealistic deadline was set in September 2007. According to an unfunded proposal circa 2010, the US was to launch the Next-Generation NEAR mission as early as 2014, aiming to land on an asteroid. According to a corporate announcement in July 2010, Bigelow and Boeing companies would start assembling a 690-cubic-meter space station in the Earth orbit in 2014. As of 2004, NASA hoped to launch a visible-light coronagraph to search for planets outside Solar System. A proposal in the 2009 budget request aimed to get funding for a NASA mission to send three small landers on the surface of the Moon in 2014. In April 2010, Brazil hoped to conduct its fourth attempt to orbit a satellite with a domestically built rocket from the Alcantara launch site in 2014. As of 2004, this mission was promised in 2006. Delayed from Sept. 27: A Soyuz-2-1a/Fregat rocket to launch a classified military payload from Plesetsk. Postponed from November 2014: A Soyuz-2-1v/Volga rocket to launch the Kanopus-ST remote-sensing satellite from Pad 4 at Site 43 in Plesetsk. 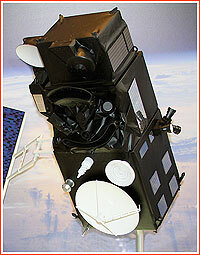 June 6: A Dnepr booster to launch KOMPSat-3A remote-sensing satellite for South Korea from Dombarovsky-13. 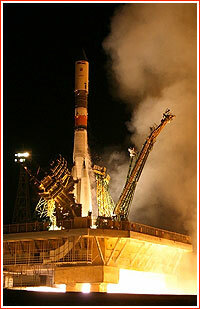 Postponed from summer 2014: A Soyuz rocket to launch the Baumanets-2 experimental satellite. 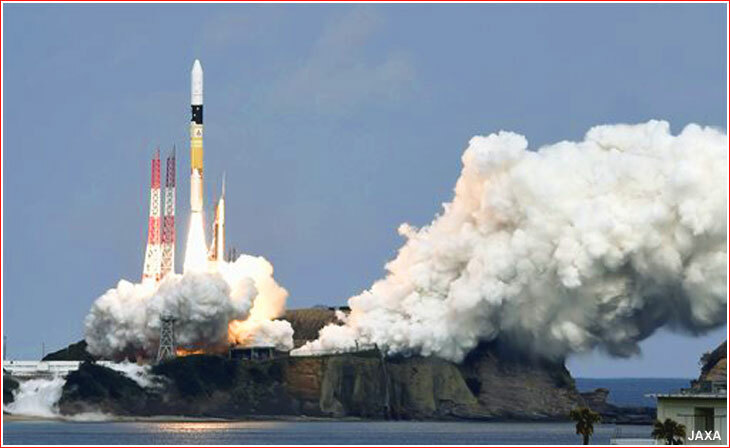 2014: A Rockot to launch the first new-generation Gonets-M1 satellite for the low-orbital communications network. 2014: A Rockot booster to launch a Lisa Pathfinder satellite from Pad 3 at Site 133 in Plesetsk. 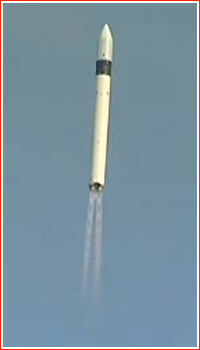 2014: Russia to launch Kanopus-V No. 3 and No. 4 satellites. 2014: A Tsyklon-4 rocket to fly its first mission from Alcantara, Brazil with Nano-JASMINE payload. 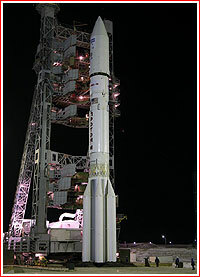 In November 2006, the Tsyklon-4 rocket was promised to fly its first mission from Alcantara in 2008. According to a Sept. 19, 2007, statement by the head of the Ukrainian space agency Yu. Alekseev, the mission would take place in 2009. As 2011, the launch was promised in November 2013, however by mid-2012, the mission was delayed to 2014. Postponed from middle of 2013: A Dnepr rocket to carry a PAZ payload from the Dombarovsky 13 launch site. Postponed from summer 2012: A Proton-M rocket to launch the Garpun military communications satellite for the Russian Ministry of Defense from Baikonur. Postponed from 2013: An Indian cosmonaut to fly onboard the Russian Soyuz spacecraft. The inter-government agreement for the mission was reached during the visit of the Russian president Dmitry Medvedev to India in December 2008. 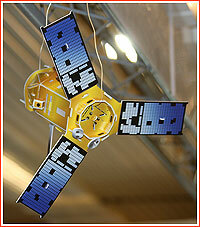 Postponed from 2012: A Soyuz rocket to launch the Bars military cartography satellite from Plesetsk. 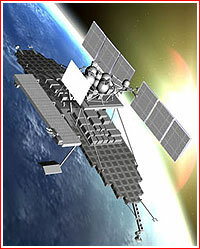 Postponed from 2012: An AzerSat-2 communications satellite to be launched from Baikonur for the government of Azerbaijan. The spacecraft is to be built by Orbital Sciences Corp.
Postponed from 2009: Russia to launch the TNS-2 nano-satellite developed by RNII KP equipped with magnetic attitude-control system and research payloads. Postponed from 2013: Russia to launch an MKA-FKI No. 3 satellite with a Konus-M gamma-ray payload. (Canceled in 2014). Postponed from Spring 2012: Originally, the Volna rocket was to launch German Space Agency's European eXPErimental Reentry Testbed, EXPERT, capsule on a suborbital trajectory from a submarine in the Pacific Ocean to the Kura impact range in the Kamchatka Peninsula. As of mid-2011. During 2010, the mission was planned in the summer of 2011. In 2008, the mission was expected in October of 2010. The Russian Navy refused to carry the mission and as of May 2012, ESA was still searching for alternative launch providers in Russia or in the US. As of October 2012, Roskosmos offered a Soyuz-1 launcher for the mission, however two sides still failed to reach an agreement. 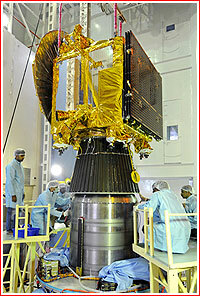 The payload was thyen moved to the Vega launcher. During the 2010s, four annual missions of the Soyuz spacecraft had to be conducted every year to rotate crews onboard the International Space Station, ISS. In order to fly additional commercial passengers, the so-called "fifth" or "tourist" Soyuz would be needed during each particular year. In 2008, the head of Russian space agency first flatly denied an announcement by US businessmen about the possibility of another tourist mission to the ISS. On June 11, 2008, a private contractor selling seats onboard the Russian Soyuz spacecraft claimed that it would finance a dedicated tourist mission to the International Space Station, ISS, in 2011. The Soyuz flight, carrying one professional cosmonaut and two paid tourists, would be conducted in addition to regular launches financed by the Russian government. In the past, Russian authorities only allowed tourists to take a single seat onboard taxpayers' paid missions, to offset the cost of the cash-strapped Russian space program. However with the station construction nearly completed and its long-duration crew scheduled to increase from three to six, the regular Soyuz missions would have no seats available for paid passengers. Although popular Western press hailed the latest claims about the dedicated tourist space mission as a new breakthrough in orbital commerce, the head of the Russian space agency, Roskosmos, Anatoly Perminov said he had no information on such plans. In the official statement published on the agency's web site, Perminov said that "there is simply no seats for space tourists." Possibly, he referred to already scheduled missions, rather than a dedicated commercial flight. As of June 12, RKK Energia, a Russian company, which builds and operates the Soyuz spacecraft, neither confirmed or denied claims made by its US-based salesmen. At the very least, the situation indicated a breakdown of communications between the Russian space agency, its main contractor and its overseas sales representatives. Even if such mission does take place, skeptics believe that "private investors" would still use Russian taxpayers' money to pay for the full infrastructure of the manned space flight, including the spacecraft, its rocket booster, the network of ground control stations and other services. Observers also point out a potential minefield "commercial" missions present for relations between space station partners. Even though Russia does not publicly disclose amounts it charges its private clients for joy rides in space, these rates are apparently lower than those paid by NASA and other space station partners for transporting their crew members to the ISS. In 2011, Russia plans to conduct four manned missions of the Soyuz spacecraft to the ISS to support permanent occupation of the outpost by rotating international crews. The additional tourist mission would mean five manned launches that year. Currently, Russia conducts two manned missions annually, however in 1980, six piloted Soyuz spacecraft lifted off to support Salyut-6 orbital station. Commenting on the situation, Yuri Makushenko, Director of Business Development at RKK Energia told RussianSpaceWeb.com that "the door to the fifth (additional) Soyuz launch in 2011 or 2012 has not been closed provided necessary funding." Makushenko said that such option was evaluated at RKK Energia, however the project had been at the very initial stage and no actual production work on the Soyuz ship for the fifth mission in 2011 had taken place. He explained the contradictory statements by Roskosmos as a possible misunderstanding. 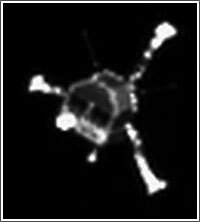 Only on July 2, 2008, Roskosmos finally confirmed that an agreement with an unnamed private investor had been reached to start funding the construction of a dedicated spacecraft for a possible tourist mission in 2011. Terms of the agreement with the investor envisioned further tourists flights beyond 2011, the agency said. However in the January 2009 interview, (321) head of Roskosmos Anatoly Perminov, yet again, reiterated that Russian "tourist missions" to the ISS would end in 2009. And yet again, Perminov failed to mention any dedicated private Soyuz missions. At the May 29, 2009, press-conference at the mission control in Korolev, the head of manned space flight of Roskosmos Aleksei Krasnov said that the construction of the "fifth" Soyuz spacecraft to be launched during a single year, in addition to four scheduled ships for the ISS program, was still under consideration, however it could take place in 2013, at the earliest. In June 2010, Krasnov elaborated that the first funding for the construction of the "fifth" ship would be advanced to RKK Energia before the end of the year. He mentioned commercial missions ordered by the Canadian space agency, as one of the potential customers of the additional spacecraft. In April 2011, Perminov confirmed that the "fifth" annual Soyuz could fly for the first time in 2013, adding that Russia could launch five manned missions once every two-three years. However behind the scene Roskosmos officials said that they had been unwilling to spend any federal money on the production of the "tourist" Soyuz and private investors had yet to fund the mission. Still in August 2011, the head of RKK Energia, Vitaly Lopota, told the Interfax new agency that the production of the "fifth" Soyuz had been in the initial stage and it could conduct a tourist mission in 2014. However in August 2012, Lopota said that only if the approval and funding for the mission was granted before the end of the year, the tourist flight could take place at the end of 2015. 2017: A Dnepr rocket with a Krechet upper stage to launch a Ukrainian Selena mini-orbiter toward the Moon. Developed by KB Yuzhnoe, Selena would be the first spacecraft in post-Soviet Ukraine designed to go beyond the Earth orbit. (Plans as of November 2011.) Ukrainian plans for developing a lunar station had been publicized during the crisis with the Russian Phobos-Grunt spacecraft and, possibly, were timed to facilitate contacts with Russia on a potential cooperative project in deep space. Ukraine's previous plans to launch a 300-kilogram lunar orbiter on the Zenit rocket stalled due to lack of funds. However, by scaling down the project to fit into a converted ballistic missile and, possibly, joining forces with Russia, could make the proposal affordable. It could be speculated, that after the Phobos-Grunt fiasco, Russian space strategists could be under pressure to fly an inexpensive test mission into deep-space before returning to ambitious and expensive planetary missions. The Selena concept became impossible after the Russian annexation of Crimea in 2014. 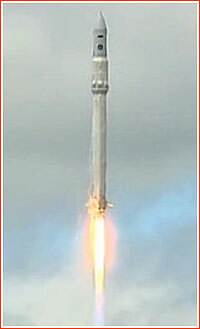 A new-generation Angara rocket flew its first test mission on July 9. 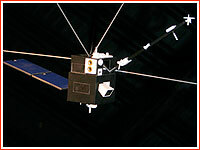 The design of the Arkon-2M spacecraft originally proposed by NPO Lavochkin.